LOPEZ Colonel Donald, Silver Star, DFC with Cluster, Air Medal with two Clusters, Soldiers Medal, Chinese Breast Order of Yun Hui. Lopez served with the famous Flying Tigers under General Chenault in China. 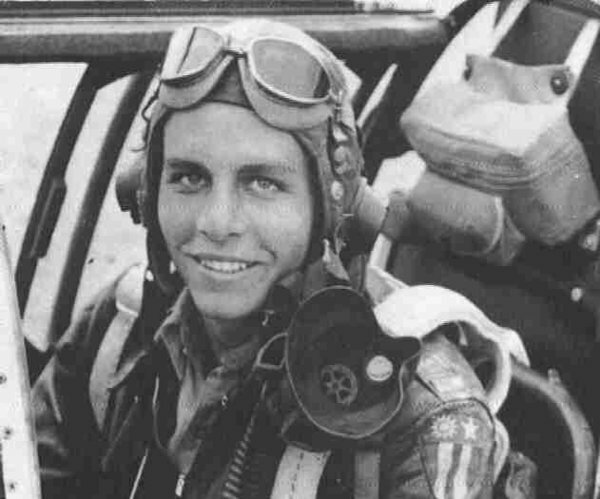 In his shark-mouth P-40 Warhawk, he flew more than 100 missions against the advancing Japanese and detroyed several enemy aircraft. He and his comrades of the 75th Fighter Squadron, 23rd Fighter Group, operated from crude airfields in Kwangsi province and it is the distinctive limestone peaks of this area that can be seen in the 'Famous Fighters' print and which give the river its murky yellow waters.